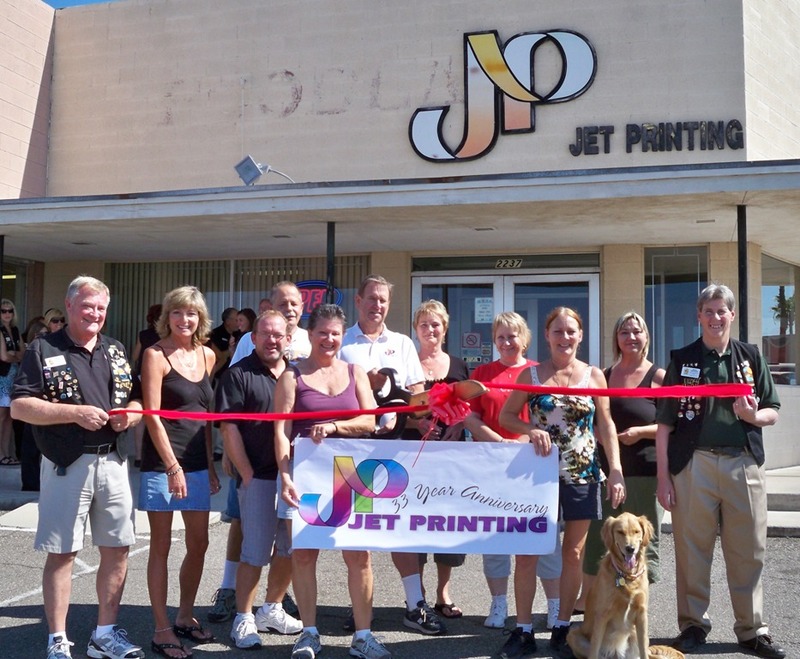 The Lake Havasu Area Chamber Ambassadors held a ribbon cutting ceremony for Jet Printing located at 2237 West Acoma Blvd. 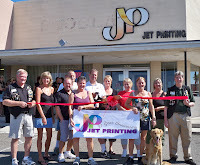 Jet Printing as been serving the Lake Havasu City area for over 33 years. On hand for the ribbon cutting from left to right are: Marshall Ronningen, Bonnie Sullivan, Rick Jandrew, Howard Davis, Mary Nathan, Mike Nick, Lesley Nick, Sharon Ayers, Lesa Jones, “Dusty”, Brandy Cummins, and Rick Broker. For more information or to place an order call 855-2200.